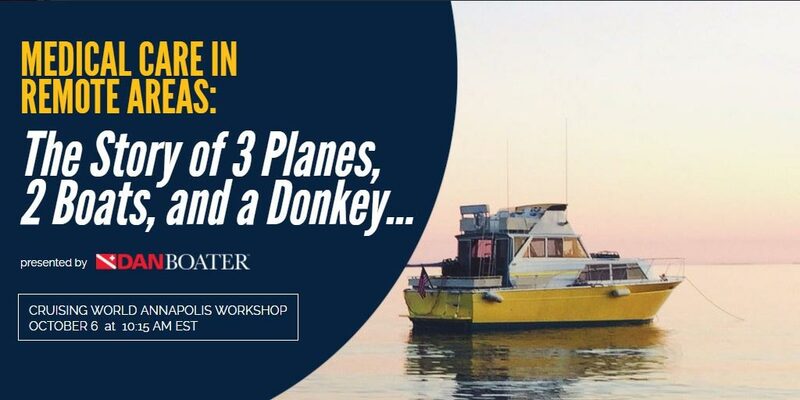 Join us in Annapolis to hear the story of "3 Planes, 2 Boats, and a Donkey"
"Can you help me here?" is one of the most commonly asked questions we hear from cruisers and sailors here at DAN Boater. The natural concern, of course, is that you'll find yourself in an area so remote, underdeveloped, or unfamiliar that you may not be able to manage ordinarily minor medical issues while you're there, much less more complex medical emergencies. The fact is that medical situations that arise in remote locations can be fraught with negative, sometimes dire, consequences -- unless you're sufficiently prepared. That's where DAN Boater can help. As part of our travel safety mission, we offer a variety of educational resources to help members prepare for health and medical situations that may arise in remote places. And during boat show season this Fall, we're delighted to be sharing our medical emergency expertise through workshops designed just for boaters. 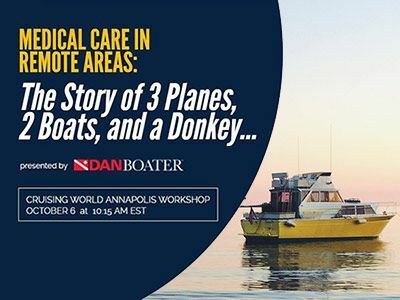 Join Daniel Nord, paramedic and former Director of Medical Services for DAN, for a practical approach to first-aid and basic medical care while traveling to remote areas. Find out what safety resources and emergency medical services are available to you, and how they work. Learn from reviews of actual DAN member cases how to prevent, prepare for, and manage remote medical emergencies. Have a trip coming up but can't make the workshop? Stop by the DAN Boater booth (#D09) any time during the Annapolis Sail Boat Show to discuss your travel safety concerns.